Downpipes are available to complete your rainwater system. Roofline offers an extensive range of downpipes in materials and sizes to suit your specific needs. Downpipes are available in an array of colours to either compliment or stylishly contrast with your home’s colour scheme. Standard sizes available include 80mm diameter and 75mm x 50mm rectangular. We can also supply preformed 95 degree elbows and either a holderbatt or strap bracket to secure the downpipe. Downpipes come in a range of colours and substrate to meet your requirements. Rainwater heads help your roof effectively deal with the natural elements. 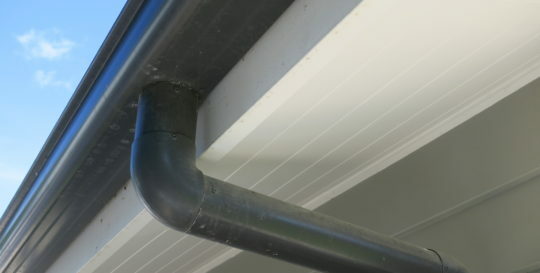 Water from your gutter or parapet collects in the Rainwater head and is then discharged into the downpipe. Roofline supplies a wide selection of robust Rainwater Heads and can even arrange custom manufactured designs in Zincalume, Pre-painted Steel, Aluminium or Copper.